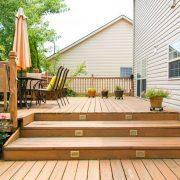 A patio can add an additional room in your house, an outdoor place where you can spend a large part of your free time. To make it feel like a comfortable space in which you want to spend time, you’ll have to arrange the furniture on your patio to fit your lifestyle. Find a focal point in your yard. 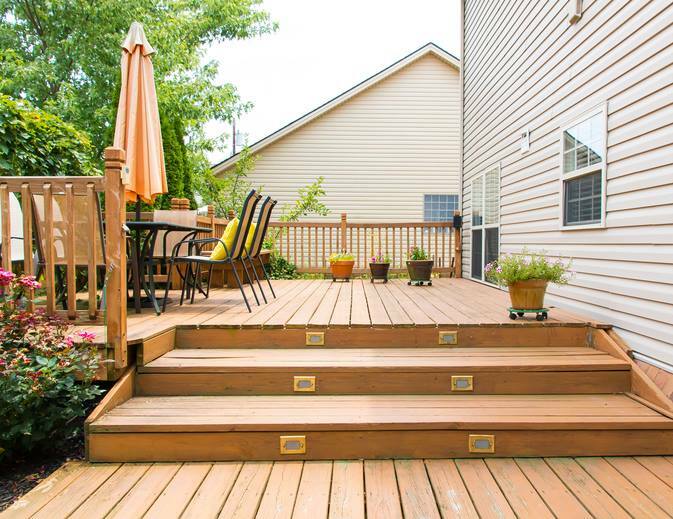 This could be your deck, a garden or stone grill. The focal point will be what you will arrange your furniture around. Measure the area you will use for your furniture. This will ensure that you buy furniture of the right size for the space you have. Decide how you will use the area. Will it be to relax, eat or host friends? Deciding this will help you determine the type of furniture you will put in the space. Place your largest piece of furniture, like an armchair or loveseat, against the longer wall or empty space. Accommodate chairs around this large piece of furniture to form a conversation area. Use side tables and coffee tables the same way you would use them in a room. This way your guests will have a place to put their drinks. Keep the kitchen area separate from the living area. The table and chairs can go in an area close to the grill if you have one. However, you do not want to put them too close for safety reasons. Think about how you will use the space and add accessories to make the patio more comfortable. They could be lamps for the evenings spent on the patio, or a firepit to keep you warm when it’s cold. Add decorative touches to accompany your furniture, such as rugs and cushions. You can even add pictures or art to add color to the area. Keep in mind the scale when you buy furniture. If you have a small patio, you will not want to use large furniture, or the space will look smaller. Use color in your accessories to make the patio feel more like another room in your home. Consider the style in your home, especially the room you walk out onto the patio. Try to keep the same style in your yard so that it feels fused. Use a dolly or furniture gliders to move furniture or ask someone to help you when moving heavy things in order to avoid injury.